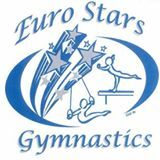 Euro Stars Gymnastics, located in Plymouth MI, is proud to offer a variety of levels of competitive gymnastics and prep programs for competitive gymnastics. Competitive gymnastics teaches a variety of skills, many that aren’t seen on the competition floor. Participating in a higher level of gymnastics, builds bonds and allows gymnasts to make new friends, learn to persevere, to balance school and gymnastics, gain strength, and of course learn many skills useful in gymnastics! 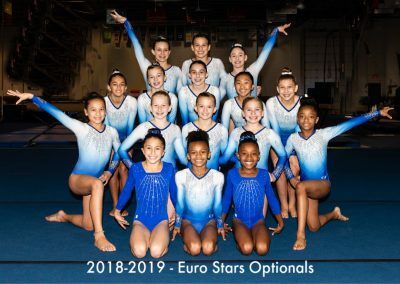 USAG JO (Junior Olympic) Program, including girls training pre-elite with the Hopes for Elite! Compulsory – Which include levels 3, 4 and 5, and practice 9 to 16 hours per week. Optionals – Which include levels 6-10 and practice 18 hours per week during the school year, and additional during the summer. Pre-team – Compete in Fun meets and work to refine skills through practice 4+ hours per week. Try Outs for our team are available online. Spaces are limited to help ensure personal attention to individual gymnasts. We may not be the largest team, but our goal is to show personalized approach to help the success to the individual gymnast. 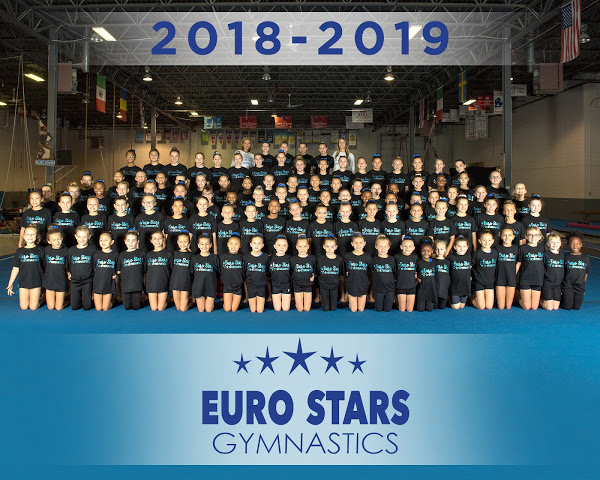 Euro Stars offers a variety of preteam and team options. Excellence, hardworking and fun are honored here. Bianca Miralles, Region 5 Level 7 Champion 2018! Level 3 – Team 1st Place! Level 3 – First Place Team – Highest Team Score for All weekend, all sessions! Level 3 – Team Place – Highest Score of the Meet! Lainey Hubbard – 1st Bars, 1st Beam, 1st Floor, 1st All Around – 38+ Club! Allyson Hertza – 1st Vault, 2nd Bars, 1st Beam, 2nd Floor, 1st All Around, 38+ Club! 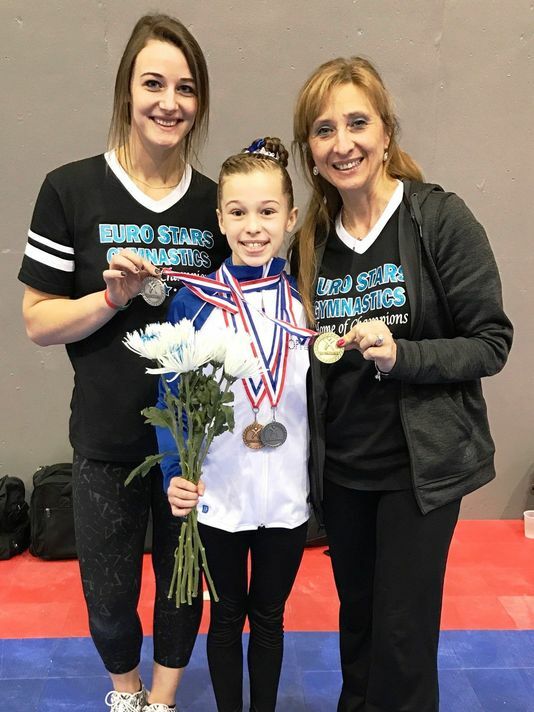 Gianna Malizia – 1st Vault. Lia Pinkosky – 3rd Place Beam – 38.1 All Around Score! 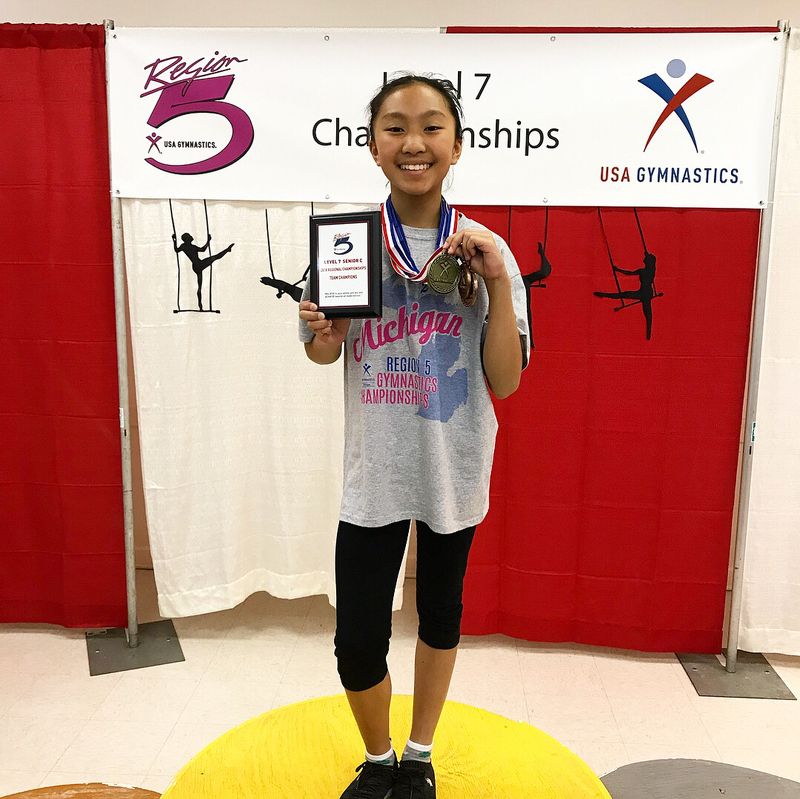 Bianca Miralles – 3rd Bars, 1st Beam, All Around Regional Champion 1st Place!